"I think I got hooked on Sketchers when I first saw my 20 year old grandson wearing a red pair. They were so striking and looked so neat, and since then I have seen others with Sketchers in different colors and they seemed to call to me. Well, I finally got my own pair and I must say I love them! Mine are the Skechers D'Lites- Reinvention. The memory foam is so comfortable, the thick base keeps stones and other hard surfaces at bay. I would give Sketchers an A+. 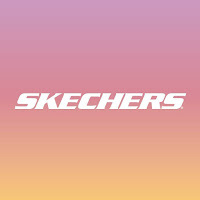 You'll see me wearing my Skechers all the time now!" "For years I have been reviewing and wearing Skechers. 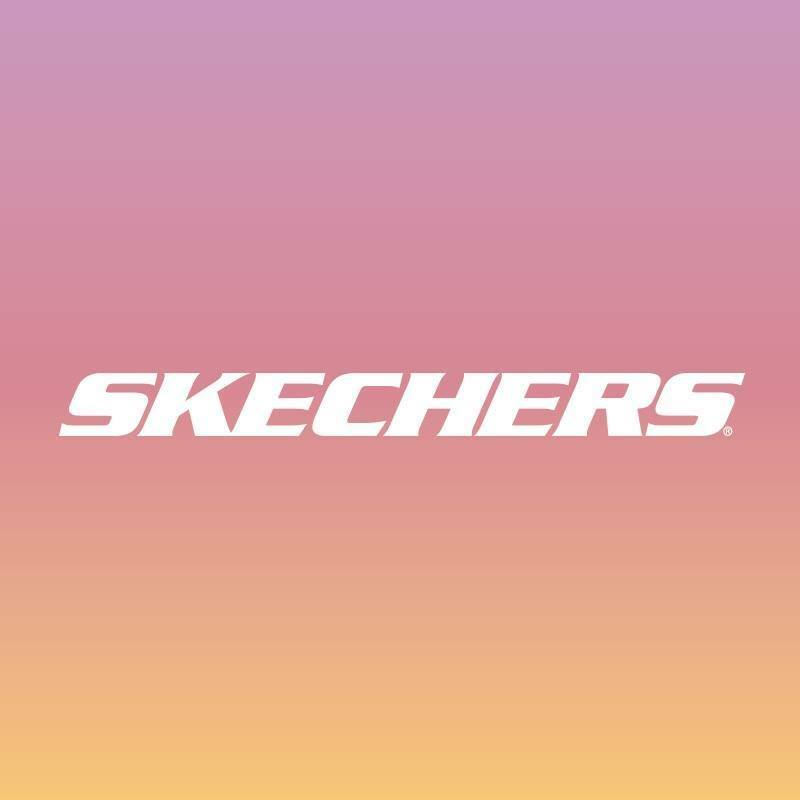 I like that there are so many styles available and so many types of shoes to review- from sport, to casual to boots to sandals and so much more, that there really is a shoe for every outfit you'll wear daily with Skechers." "With summer here, I spend as many good days as I can getting out for a walk with Gerry. My current sandals for walking are showing and feeling wear, and I was needing more distance between my foot and the road! I had a foot injury years ago that still effects me to this day as well as arthritis in my foot so good shoes are important when walking. The sandals I chose to review were the Reggae-Kooky. Soft web fabric upper in a strappy river style sandal with stitching accents, quick closure and supportive comfort midsole- that were great for walking, and also quite fashionable!" Are you a landlord struggling to deal with tenants who are refusing to pay rent? Have you leant your services to a customer that is refusing to pay up? Whatever the situation may be, owing debt from someone is never fun. Whilst you may feel you have all the power, there are actually a great number of laws protecting those in debt that can make it quite difficult to get money back from someone that is being stubborn or ignoring your calls. For those struggling with debtors, here are the steps that you should take. Your first course of action, if you have a phone number, should be to ring up your debtor. Don’t come at them ranting and raving as this could be ground for harassment. Similarly, ring them at a sensible time that they’re likely to pick up at. Be short and sweet about how the debt needs to be paid and try to negotiate a way of getting them to pay it up. Follow up with phone calls until they have paid. If they continue to ignore your calls, refuse to pay up or say they will pay up but don’t, you can take things one step further. Often it’s legally required to give proof of the debt in writing. Sending letters to the debtor’s residence is one way to do this. Continue to ring them up whilst sending letters. If they keep ignoring, don’t worry – you will be able to take things up a notch. Feel free to personally deliver the letter, but act calmly and respectfully. Save copies of every letter as they may be needed later as legal proof. There are plenty of debt collection agencies out there that can call up and send letters for you. 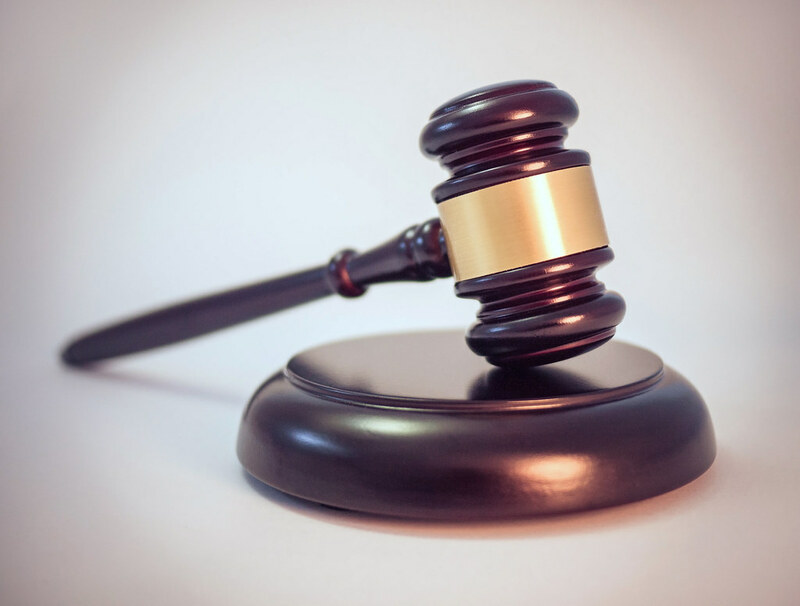 They know the professional tone to take and all the legalities involved, and their official presence could help to show the debtor that you mean business. If they continue to ignore, a debt collection agency then has the rights to knock on their door and retrieve the debt by seizing items. Be prepared to not get all the money you hoped for – an agency may be required to take a percentage of the money won. Debt attorneys may be required to file a lawsuit against a debtor, or help defend against a debtor that has also sought legal help. At this stage, things can get ugly, but so long as you have followed all the previous steps and have kept proof of the debt, things should run in your favour. The case may go to court, so be prepared to give evidence. The number one tip along the way is to stay calm and courteous. Harass the debtor and they may respond more defensively or deliberately make life harder for you to get back your money. Nine times out of ten, a debt can be paid off without having to get lawyers and agencies involved simply by peacefully negotiating an agreement. Whether you run a business or you just want to keep better track of where your money is going every month, keeping track of your finances is so important. The problem is that many people start off with a commitment to keep track of their spending but they gradually lose this discipline over time. Well, in this blog, we will cover four different methods of tracking your finances to see if any suit you. When running a business, you may want to develop your financial skills with an online accounting MBA as this can give you an entrepreneurial edge. You may have tried one of these before, in which case it might be time to try one of the other methods so that you enjoy more success. If you are an Excel expert then keeping track of your finances on a spreadsheet may be the right option for you. Even if you are not too well-versed in this method, there are plenty of pre-made templates there to help you out. On the positive side of things, you have all your finances displayed on one page which gives you a great overview of everything. This way, you can easily see what you are spending and what you can potentially cut back on. However, you do have to remember to manually input the figures on a regular basis. Some people think that the handwritten approach works best for them, particularly if they are not the most computer literate people in the world. You can also always carry your budget around with you in notebook form or just on a piece of paper. The act of writing everything down physically really does imprint every expense in your mind, but the obvious disadvantage is that this is a laborious process which can feel outdated in the digital age. There are plenty of online budget tracker apps out there like Mint, allowing you to connect all your cards up with the service so you can let it keep track of your spending. You can place all your outgoings into categories so you can tell where your money is going every month. Though this is a very convenient option, it does remove you from the budgeting process somewhat so you don’t really notice where your money is going so much. There are new budget tracking apps coming out all the time so you really can take your pick, experiment and work out which one works best for you. People always carry their smartphones with them, meaning that you always have your budget to hand as well. You can enter your expenses in real time and categorize everything, setting limits on what you should be spending. Though you will probably never get one that is entirely perfect for your needs, they are improving all the time and you will be able to find one that completes most of the tasks that you want it to. Let's face it, buying a house is a pretty expensive proposition. That's hardly going to come as much of a surprise to anyone. After all, buying a house is probably the most expensive thing that most people will do during their lifetime. However, just because you're probably going to end up spending a lot of money on a property, that doesn't mean that you shouldn't try and get the best possible deal. This is especially important because it's surprisingly easy to end up getting ripped off when you're putting money down on a new home. Far too many people have found that trying to buy a house brings up a lot of opportunities for them to lose out on some pretty serious sums of money. Rather than allowing that to happen, here are some things that you can do to make sure that you don't end up getting ripped off. Real estate agents are often extremely charming and friendly. You feel as though they have your best interests at heart, and there's a pretty good chance that they do. But in the end, it's their job to try and sell you a house, and they will say whatever they need to in order to get you to do that. Sure, when it comes to real estate, there are always going to be agents who will work hard to get you the best deal possible. However, there are also going to be those who will try to baffle you with complex jargon in order to make a house seem like a better deal than it is. If it seems like an agent is trying to confuse you in regards to the price of a property, confront them and demand that they talk to you straight about what it's actually going to cost you. Unless you have some kind of expertise in the construction of houses, you're probably not going to be able to spot any structural issues with a home outside of incredibly obvious ones. This is why it's incredibly important that you have an independent survey done of the property. Not only can that help you determine its value, but it can also help you to avoid buying a house that then requires huge amounts of money to actually make it livable in the first place. You should also make sure that you're doing as much research as possible into the surrounding area. If a house is a certain price, check if that's consistent with the rest of the houses in the area. There are plenty of places to find out how much houses have sold for in the past. You should also find out why a house is the price that it is. If it seems like it's an incredibly good deal, then look into that. It could be because it's in a rough neighborhood or it could be because of the degree of maintenance that needs doing on it. It might sound drastic, but it's important that, when you're buying a house, you stay suspicious of absolutely everything about it until proven otherwise. We all have those relatives - you know the ones; they are the ones who you never know what type of gift to get them when it’s their birthday or at Christmas. There are lots of different reasons why they might be difficult to buy for - perhaps they already have everything they want, or maybe the two of you just don’t have anything in common so you can’t even begin to imagine what to buy them! But worry not; there’s no need to scratch your head and spend ages trying to figure out what to buy anyone ever again. Not now that you have this ultimate guide for all those hard-to-buy-for relatives in your life! Even though you may know your partner better than anyone else, there can still be times when you find that you are completely stuck for present ideas. This is especially the case if your partner hasn’t given you any indication of what type of gift they might like. Have you asked yours but haven’t had a straight answer yet? No problem, there are lots of suitable gifts for men who have everything. For instance, how about a golf break? If your man loves practicing his swing out on the golf course, you might want to buy him a weekend away at a popular golf hotel. Lots of specialist golf hotels offer golfing experiences that include various golfing-related activities. Other great ideas for gifts for men who seem to have everything are things like food tours of your favorite city or sailing experiences. Lots of people still feel like they need to impress their mothers-in-law even when they have been part of the family for a few years. So, there is no wonder that many people try and find a very fancy and sophisticated gift for their mother-in-law. As a result of the high standards we put on ourselves, it can often be difficult to find a gift that lives up to these expectations. Getting her a weekend away will certainly go down very well. Where you send her will certainly depend on her tastes and preferences. If she would prefer a relaxing break, you could send her to an all-inclusive spa hotel. Looking for something a little more adventurous? Well, how about an activity weekend. There are lots of ranches that provide horse riding opportunities, or she may prefer to go on a hiking weekend. Siblings can also be very difficult to buy for, especially if you don’t live too close to them and rarely see them these days. If you only ever see each other at family gatherings, then you might feel like you don’t really know them as well as you did when you were kids. So, you might be stumped when it comes to buying them a gift! But buying for your sibling doesn’t have to be so difficult. One great option is to get something with nostalgia value that might remind them of your childhood together. How about a photo album filled with lots of photos of the two of you together? You could include images from your childhood as well some newer ones. If you both had a favorite toy when you were children, you should see if you can buy a similar one now. 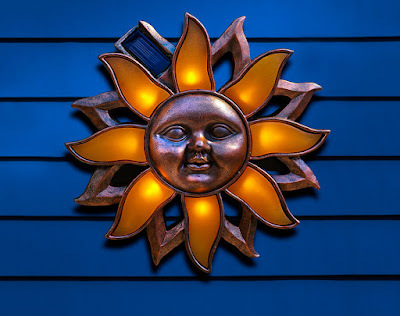 That’s a fun idea for a gift that will hold a lot of sentimental value. It can be very difficult thinking of a gift to buy relatives who belong to a different generation than us. If your great aunts and uncles are still with us, they can be particularly difficult to buy for as you will need to find a gift that is practical for them if they are particularly frail or elderly. Why not get them a pretty bunch of flowers? Flowers never fail to put a smile on people’s faces! If your great aunt or uncle doesn’t have any serious dietary requirements, then you will also be able to buy them a box of delicious chocolates. Even if they suffer from diabetes, they can still enjoy chocolate. Just make sure it is suitable for diabetics! Sometimes, buying gifts for relatives can be a very tricky business. But, hopefully, this blog post and ultimate gift guide should have given you some great inspiration next time Christmas or a relative’s birthday rolls around. Still stuck for ideas? Try Googling to find some more gift guides online. There is lots of inspiration out there - you just need to know where to find it! Winning lottery is a dream for most of the people, but some have the extraordinary luck to win it. Just imagine suddenly you can afford the entire luxurious thing you want. 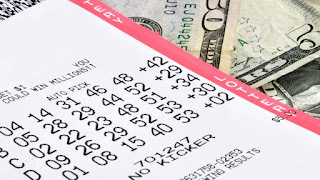 Most of the lottery winners spend the money only for themselves and their loved ones. But there is a rare breed of winners, who share their winnings for the betterment of the world. The kind-hearted people donate their money for the improvement of society, supporting local sports and for other good deeds. Roy Cockrum won 259 million dollars, was the biggest amount won by anyone in the Tennessee lottery history. But he didn’t spend all of these for himself only. He took care of his old parents and gave the rest of the money to create a better world. He founded Roy Cockrum Foundation. It is a non-profit organisation for helping nonprofit theaters. The total money went to the New York City Godman Theatre. Cockrum is famous for his good deeds. This lovely couple won a gigantic 161 million pounds in a jackpot. They are known for helping a young teenager who lost his leg to cancer by donating him a new prosthetic limb. They helped a lot of athletic improvement projects and extended their helping hand for the refurbishment of a historic paddle steamer. The couple also used their money to help a young Scottish Tennis player for his professional training. Jim Dancy won $10,000 in the Michigan Lottery Club Keno game. Though the money was little in comparison to the other lottery winners, he was influenced by his close freeing Julie and decided to give away all his winning money to the people who need it more than him. He donated the amount to the Greater Kalamazoo United Way, and in this way, he took a step to make the world a better place. In an interview, he said that it was the ‘best day’ of his life. 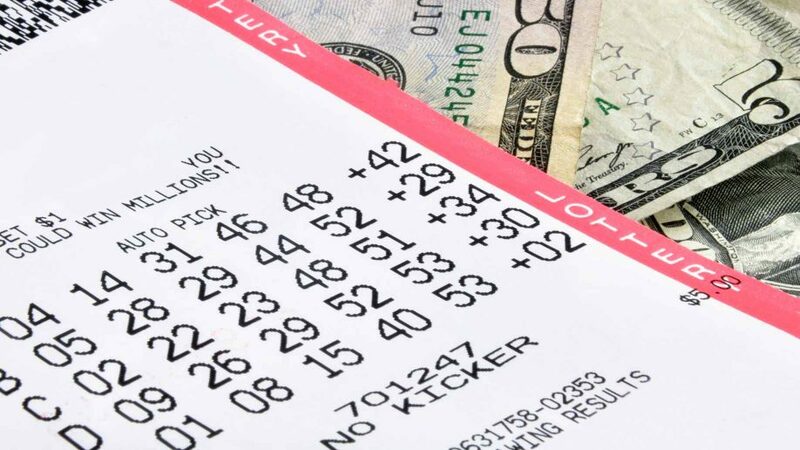 In 2011, the pastor of the Maryland Church was astounded to find a lottery ticket of amount $30,000 in the collection plate. That time the Church was going through some financial crisis, and the sum helped them a lot. Another Church Georgia also received $80,000 in the same way after they got burglarized. Maybe it was the God’s helping hand. Les Robins, a junior high school teacher, won a huge amount of $111 million Powerball Jackpot in the year 1993. After winning the money, he created Camp Winnegator, a day camp near the waterfront home of Robins with 226 acres area. Riding tables, gym, pool, golf course and many other fun activities are there in the camp. Kids between 6 to 16 love to hang out here during the summer. A lottery winner can easily leave a good tip for a restaurant. But the story of Bob Erb was different. He paid $10,000 for a burger and fries and told the restaurant owner to keep it because his daughter had cancer. The first thing he did after winning $25 million was to donate $1 million to 420 Day, an annual event advocating marijuana legislation. Erb also rewarded $20,000 to each of the employees of the gas station from where he bought the lottery ticket and also donated money to a school. Hilda Floyd won $1 million in the Idaho Lottery’s Million Dollar Raffle. From the very moment she purchased the ticket, she promised that if she had won it, then she didn’t spend it for her luxurious. She kept her promise and donated 90 percent of the winning amount to charities and churches. She claimed that spending for her own needs would not make her as happy as helping others did. She was an inspiration to many other people. 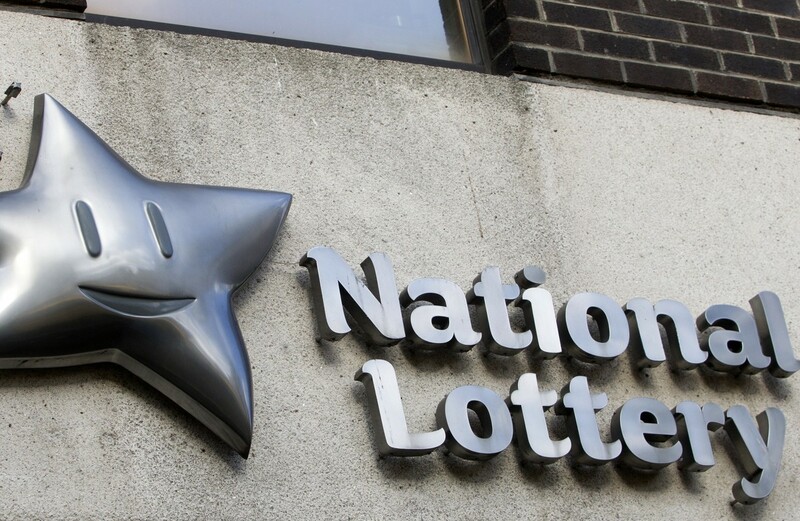 In January 2010 the senior couple won the lotto jackpot of $11.8 million. In December they donate the majority of the money to the needy people. It is quite interesting that the couples didn’t stop playing lotteries so that they won again and could give all away to make people happier. For all those who are new to Powerball, getting to know the game can be interesting. A person needs to pick five numbers from a chosen set of numbers. Over the years, the odds of winning the game has greatly been increased which is drawing big attention from the players. Thus, winning Powerball numbers is not as difficult today as it was a few years back. You need to ensure that you pick a reputed and recognized Powerball operator to make sure that the game is fair and your money is secured. You know what they say- "every time you move it costs you money!" So true. Well, not in the literal sense of moving- but going out. We took a two day trip with the RV to Prince Albert, Sask. ( 5 hours south, with the RV and stops for the dog). Jakey had a dental appt. for a cleaning, (which he seems to need usually every 6 months on average- mainly due to his breed type ( Yorkie). We were lucky he didn't need any teeth pulled this time, but with fluids, teeth cleaning, x-rays, a nail trim and flea and tick treatment, it costed a grand total of $467.73. We did take in our recyclable bottles and cans towards the gas- which now the recycling center also takes milk jug so that is a bonus! Got $45 for those. Gas there and back was $290 ( cheaper Gerry feels than if we would have towed the SUV and we didn't)..but saved us on the hotel. ( Also $48 to register the RV for 8 day minimum). We parked in the Super 8 parking lot- (we asked- so no fees for camping for us! ), and also used their free Wi-Fi! We figure it still was about $80 more than if we would have just took the SUV and stayed in a hotel. But nice to have our home and own bathroom on wheels! Got myself a "new to me" computer monitor for $12.99 at a thrift store- but realized when we came home we don't have a cord for it- so we'll have to look for one of those here. ( I'm just using a small TV monitor right now). If this works okay.. I'll have saved myself at least $100! While traveling we also noticed a leak in one of the toilet valves ( which we figure happens form rough roads) so had to get a part for that- $90! Plus caulking for the roof- another $20+.With a stop at grocery store, and buying some clothes.. it was at least a $1,000+ trip. I did save $20 on lunch at Montana's though with Scene reward points! Coming home, we made a stop off the road, and the tire pressure monitor system was beeping. Gerry checked and the extension valve had rubbed against the tire enough to start a leak, so he was lucky he all the tools, etc he needed and in a gravel pit, so was able to fix that- a delay that costed us a later arrival home of an extra hour, but we made it home! All I can say is I'm so glad Gerry is so handy- he can fix everything! He even helped some sales clerks at one store, who were struggling with bending a clothing rack! They were most grateful. Our backyard is very soft, and it's where we park the RV.We noticed this once again when pulling into the back yard last night. We were talking and will have to come up with something that is cost effective to fix it, as at times it can make it difficult to get in and our of the back yard with the RV. 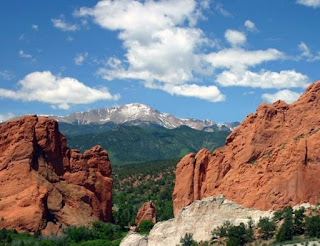 The great state of Colorado in Western USA is a place that is famed for its stunning and incredibly diverse landscape. Here you will find the snow-capped Rocky Mountains, river canyons, rolling hills, desert, thick forest and plenty more. It is for this reason that it is such a popular tourist destination and each year people flock to escape to nature and see these amazing sights for themselves. Although it is possible to see these areas by yourself, many find it easiest to explore Colorado’s natural highlights by booking on an adventure holiday with companies like Grand American Adventures. Top of this list is this mesmerizing National Park in northern Colorado. It is one of the most visited parks in the world, yet due to its size it can still feel like you are completely alone. Here you are treated to dense forests, alpine lakes, meadows and dramatic mountain peaks, which can be explored either on foot, but many people also come for horseback riding, camping, fishing, climbing and other fun activities. 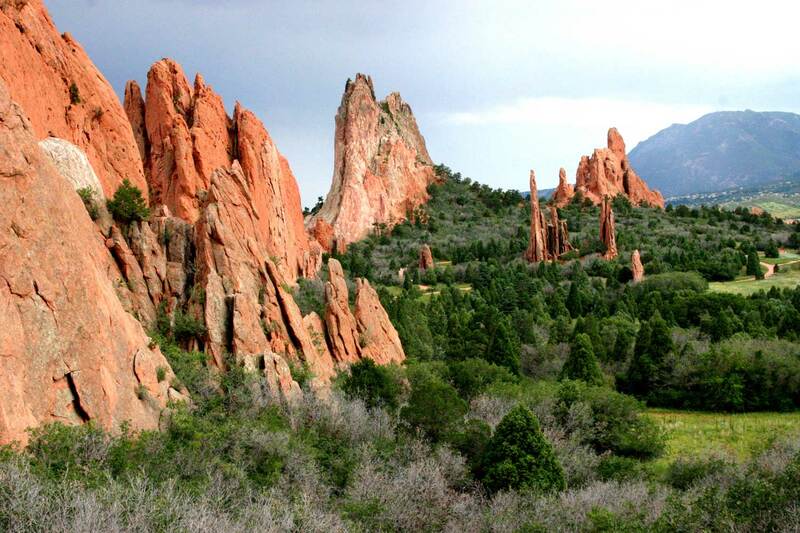 An awe-inspiring sight, the Garden of the Gods is a registered National Natural Landmark found in Colorado Springs. It consists of towering sandstone rock formations that soar up to 300 foot into the sky - these contrast beautifully against the snow-capped mountains and bright blue sky behind. The public park features 15 miles of trails, allowing you to get right up close to the gigantic structures and explore the unique surroundings. 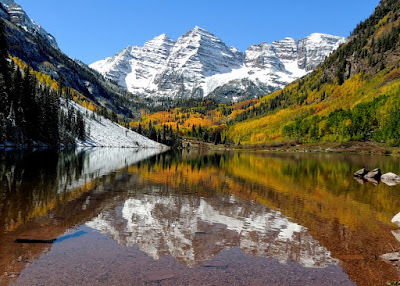 One of the legendary “fourteeners” (mountains reaching over 14,000 feet) - this is one of the most famous and popular mountains in the entire world found in Pike National Forest. Fortunately, it is easy to reach the summit as you can drive right to the top or take the scenic railway which takes around three hours. Prepare yourself for astonishing views from 14,115 feet! Found in central Colorado in the Elk Mountains, in this impressive 181,535-acre area you will find the world-famous Maroon Bells twin peaks which are regarded as one of the most photographed landscapes in the States. You will find plenty more photograph opportunities with the alpine forests, meadows, high alpine lakes and wildlife spotting opportunities. Colorado is, unquestionably, one of the most beautiful states in America due to its remarkable scenery. These are just a few of the highlights, but there are many more just waiting to be uncovered. 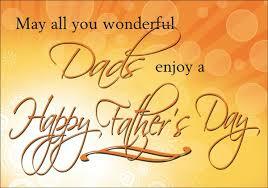 This year Father’s Day falls on Sunday June 18th. 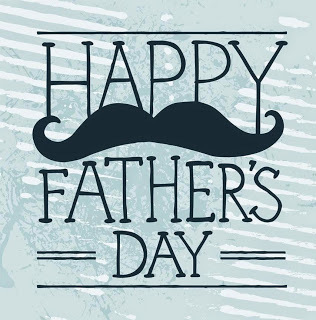 It's of course a special day when you can commemorate the love you have for that special person in your life, your Dad. -Robust size at 15 oz. 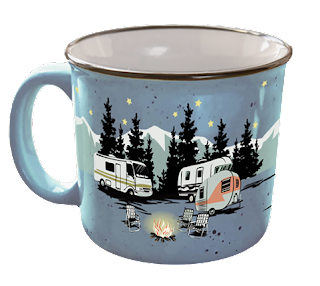 -Perfect for those large cups of coffee, hot cocoa, or even soup! This is the PERFECT gift for this Father’s Day so Dad can have an over sized mug to drink all of his coffee out of! 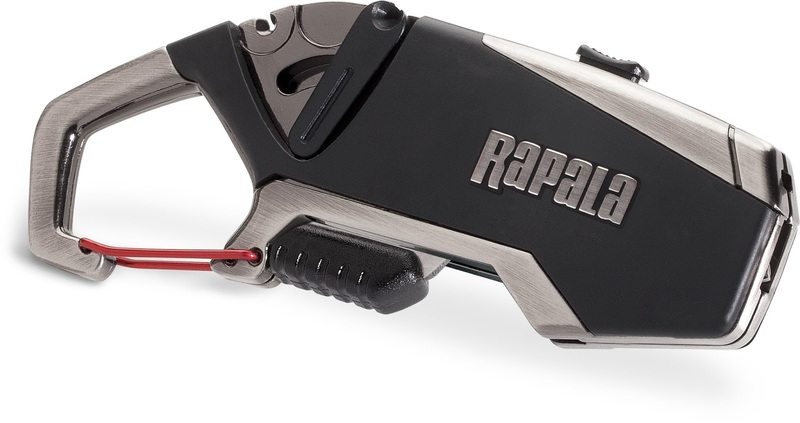 Rapala, the most trusted name in fishing, has a wide variety of tools and accessories that are made by fisherman, for fisherman. These tools, like the Fisherman’s Multi-Tool, will help make Dad’s time spent on the water effortless. This recently released accessory brings anglers’ most frequently utilized tools together in the palm of their hand, making it the all-in-one accessory that no angler should launch the boat without. The tool includes a retractable line scissors, a retractable jig buster, a multi-size line threader, beverage wrench and handy carabiner clip to keep it where you want it at all times. 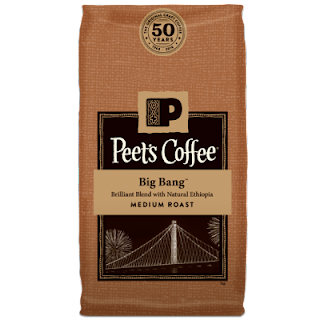 Some have described Alfred Peet as the “big bang”* of craft coffee – the one who started it all. When he set up shop in Berkeley back in 1966, he transformed America’s expectations of the depth, body and flavor in Peet’s cups. And that pursuit of greatness has never stopped. In celebration of their 50th year, Peet’s is honoring his legacy by taking a bold step ahead. Like Mr. Peet’s pioneering dark roasts, the new signature blend expands the horizon of what coffee can be: vibrant, full-flavored, boldly original, and roasted to medium-bodied perfection. This blend is crafted from some of the same premium coffees, as Major Dickason’s, but with a twist, thanks to the heavenly, aromatic citrus of Ethiopian Super Natural. It’s the perfect coffee to honor the man who still inspires Peet’s every day. Perfect for gifting dad this Fathers Day. Fathers no longer have to get on the roof or a ladder to clean out their gutters with EasyOn Gutterguard. 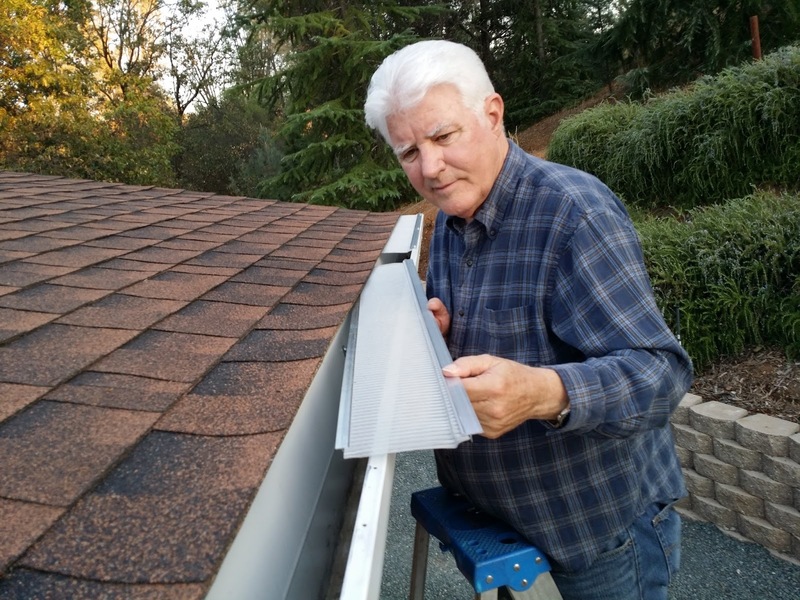 It’s a professional grade DIY stainless steel gutter guard that truly keeps out leaves, pine needles and roof sand grit from your gutter. It’s also patented and the only gutter guard in history to be UL Certified for rainwater harvesting. It’s easy to install and will fit on any gutter and roof type. Available on Costco.ca. Just search for "Easy On". Now dad will now what the temperature and time is, night or day, while he's busy spending time outdoors, with this lighted garden clock. Sunshine wall art will provide and elegant point of interest on patio walls or fences. 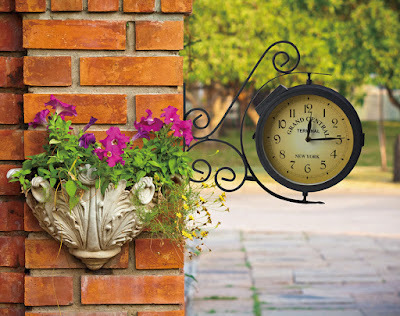 A smart way for dad to add a focal point to his favorite spot in the yard. He’s always enjoyed the simple pleasures in life – family, fun and food. 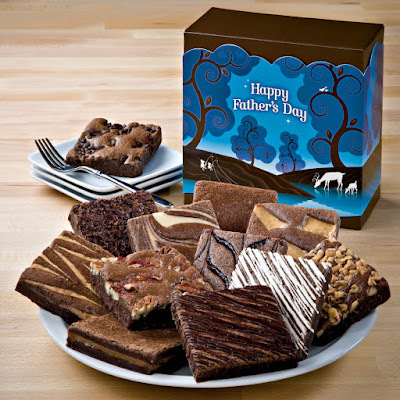 Remember Dad this Father’s Day with a simple, but delicious gift of dark chocolate brownies from Fairytale Brownies. Fairytale bakes 12 flavors and three sizes of brownies, six flavors of blondie bars and six flavors of cookies. All of the products are individually wrapped, so Dad can take his treat fishing, golfing, biking, hiking, or lounging on the couch. If Dad is particular about preservatives, Fairytale Brownies has it covered – there are none! Because of this, he’ll need to put any unused treats in the refrigerator or freezer so they’ll stay fresh until he can eat everything. If asked nicely, some Dads will share their treats and as a result, there isn’t anything left to refrigerate. TREAT DAD TO THE GIFT OF OUTDOOR CUISINE! powered Hyperflame™ stove! 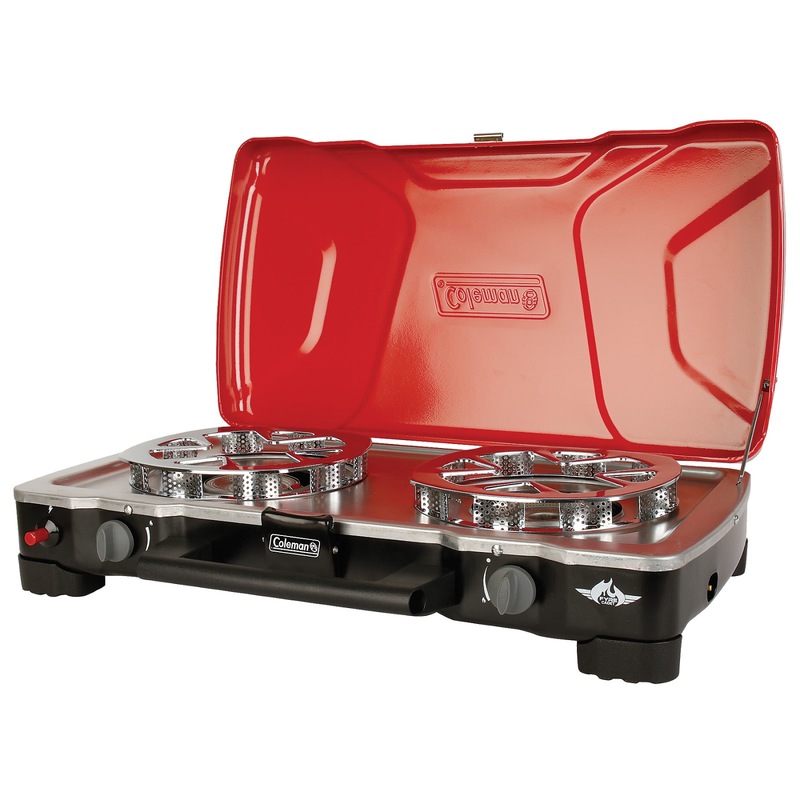 Coleman stoves and grills bring the heat wherever you go, bringing your kitchen outdoors. Try making hamburger, steaks and scrambled eggs for your next outdoor adventure. 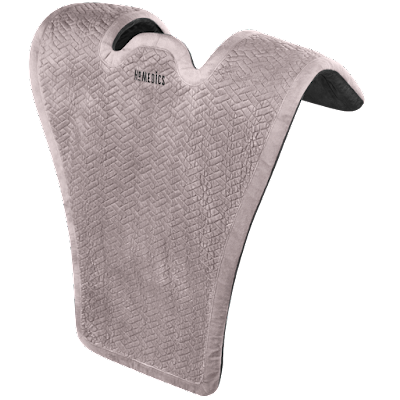 The HoMedics® Comfort Pro Elite Massaging Vibration Wrap with Heat delivers a vibration massage to loosen dad's tight muscles. 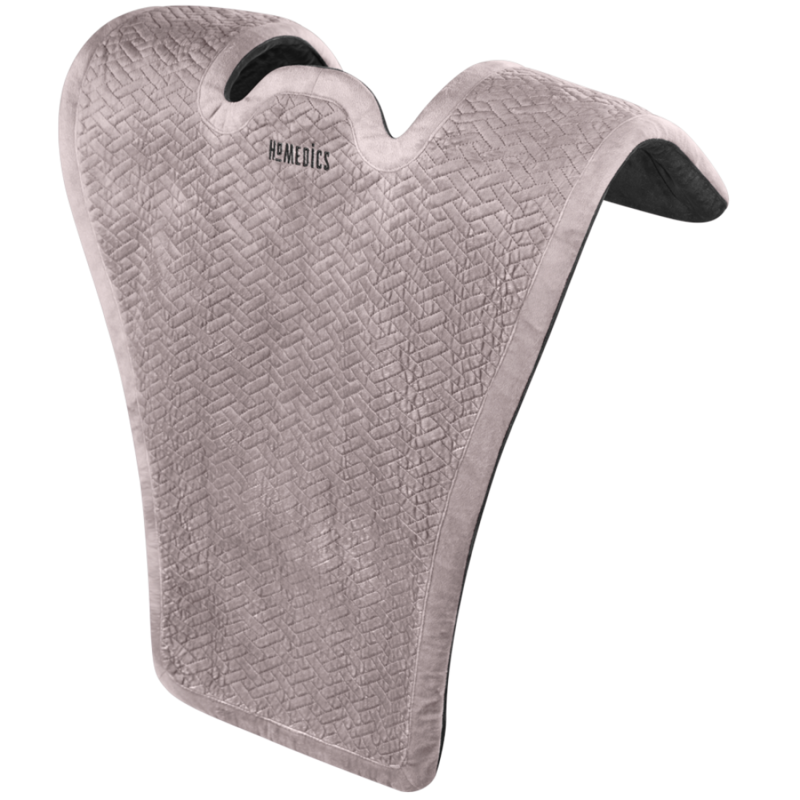 The integrated control will put dad in control of his massage experience. The soothing heat provides comfort for tired muscles, while the soft, plush fabric adds that added comfort. 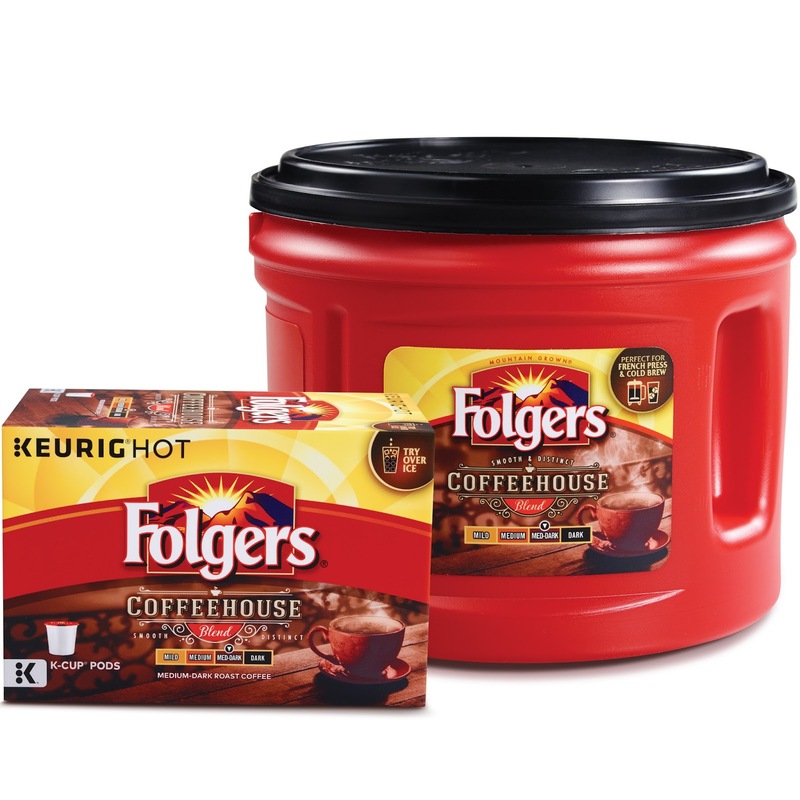 Folgers Coffeehouse Blends is an inexpensive gift for Dad because it offers a bold, distinct coffee flavor that Dad can easily make at home using his preferred method of brewing. · No matter how your dad makes or takes his coffee, with Folgers® Coffeehouse Blend you can add anything to it and brew it any way, and still taste the coffee. · Treat the coffee-loving dad in your family to the Folgers Coffeehouse Blend coffee suite, complete with new Folgers Coffeehouse Blend, and some favorite ways to enjoy it with a French press and an array of creamers and sweeteners. · Folgers Coffeehouse Blend is a medium-dark roast designed to produce a unique coffee experience that starts off smooth and ends with a bold, distinct flavor. · It is the perfect blend to prepare with all the new and trendy brewing methods like Pour Over, French Press, Cold Brew OR your faithful automatic drip coffee maker and Keurig® brewing system. Lasko’s Pro-Performance Pivoting Utility Fan is ideal for dads that love outdoor grilling because it’s flexible and powerful! The pivoting blower will deliver high velocity air flow to dad while he’s on the steaming grill to keep him cool outdoors. With the fan’s pivoting feature, outdoor guests can also feel the cooling breeze during those sweltering summer months. The fan also comes with a ten-foot cord and a grounded plug, perfect for the active dad that not only grills, but works out, hangs outdoors with the kids, or chills in his man cave. 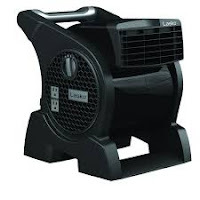 In addition to these perks, Lasko fans come in various shapes and sizes and include blade-less fans, oscillating fans, and table-top fans—each saving dad a potential 10% in energy use! *** Watch this site for more upcoming gift ideas.